mprisoned co-chair of the pro-Kurdish Peoples’ Democratic Party (HDP) Selahattin Demirtaş said in court on Tuesday that the indictment violates his rights as a deputy since he is being charged for speeches he made in Parliament as the elected head of the third largest party in the legislature. Demirtaş, who is jailed in the northwest province of Edirne, testified at a hearing in southeastern Diyarbakır through teleconferencing. In response to allegations of insulting the Turkish government for saying “child killer prime minister” in a speech he made on Sept. 8, 2015, Demirtaş said as a deputy he is supposed to have political immunity for expressing his views. Demirtaş requested that the court ask Parliament to confirm that that the remarks subject to prosecution were made in Parliament. 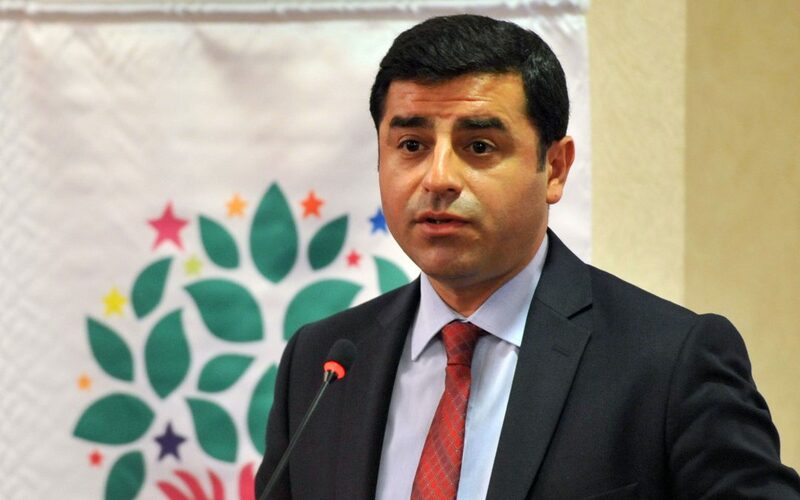 The HDP co-chair also said that according to European Court of Human Rights verdicts, he should have not been tried since his speech did not call for violence. The Diyarbakır court adjourned the proceedings to inquire about the speech with lawmakers. Turkey has been pursuing an intensified crackdown against the Kurdish political movement since the failure of a reconciliation process with the outlawed Kurdistan Workers’ Party (PKK). Several HDP deputies, mayors and local politicians are under pre-trial detention due to allegations of terrorist propaganda.